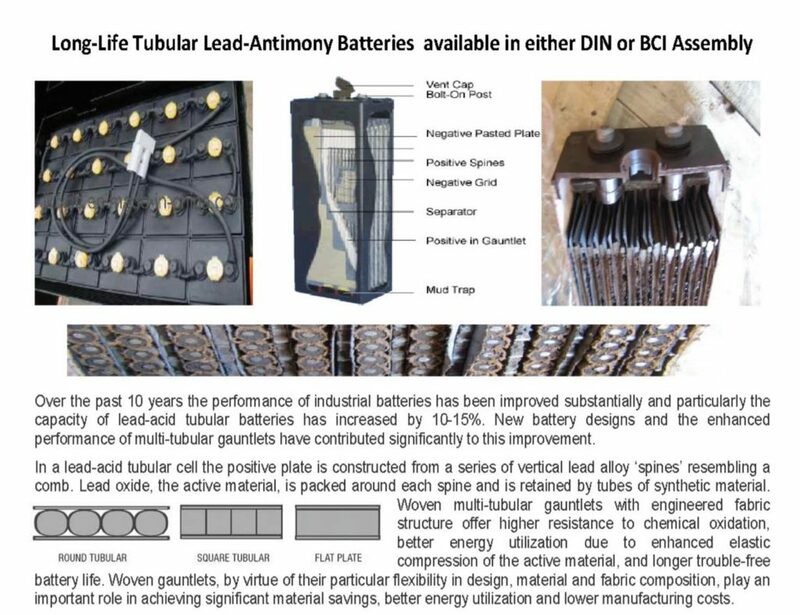 SunnyCal maintains a few select lead acid batteries. 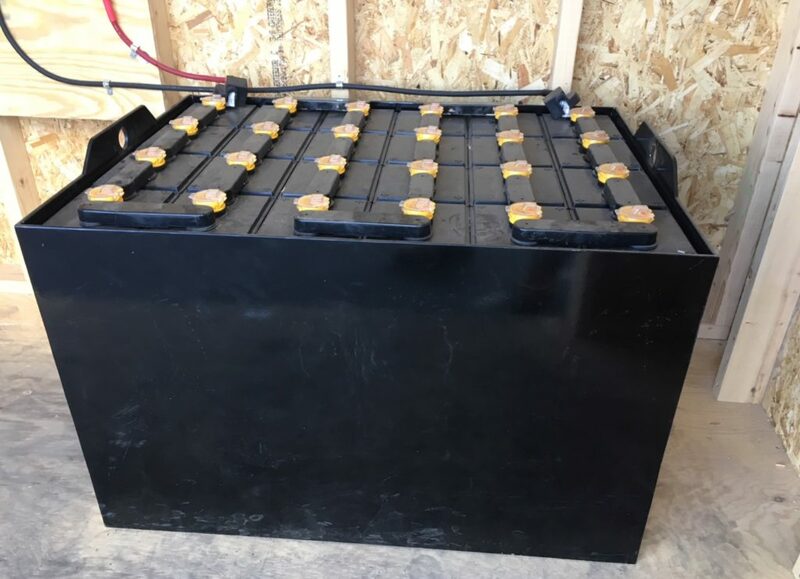 The primary application for which lead acid batteries are well suited is bulk storage, where routine maintenance is available, and low cost is a primary concern. 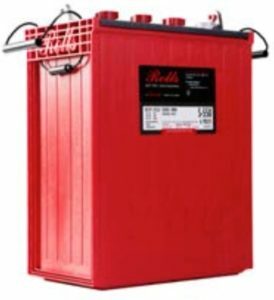 Lead acid batteries are often the default solution low budget systems. The life-cycle of common lead acid batteries is generally between 500 and 2000 charge/discharge cycles. Do not undersize your battery bank! 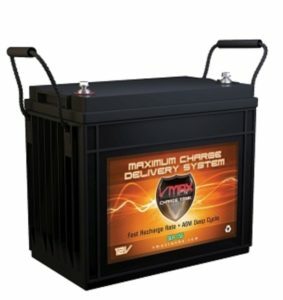 Below is a commonly used 50kWhr, 48V battery. This battery is a rugged, high surge current battery, ideally suited for systems requiring large peak power loads. Older style off-grid hybrid systems often use multiple cell batteries to create 24V or 48V battery arrays. They can be constructed using strings of 2V, 6V or 12V batteries.